The Clark County Coroner’s Office has identified a man who was fatally shot by Las Vegas police officers Saturday after an hours-long barricade. 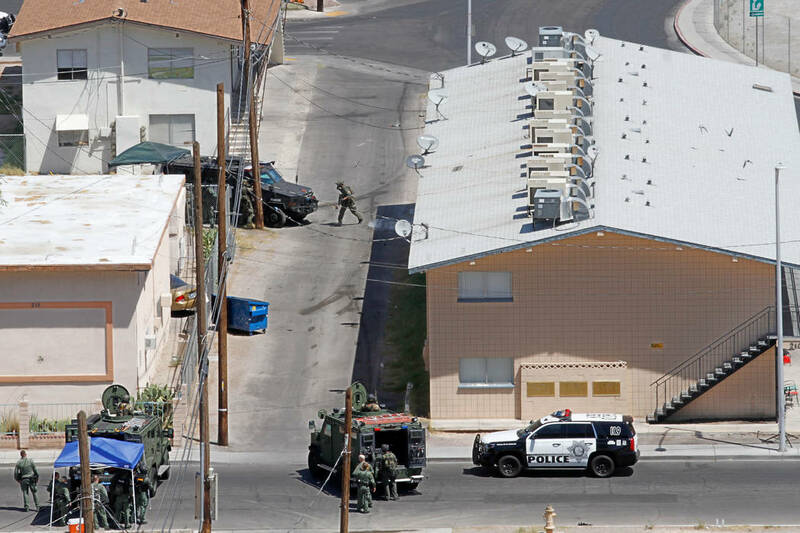 Danzel Boyd, a 28-year-old Las Vegas resident, refused to leave an apartment near downtown at 210 W. Baltimore Ave. for 16 hours, occasionally firing toward police while they tried to negotiate his surrender, Metropolitan Police Department Capt. Nichole Splinter said. Boyd died at the scene from multiple gun shot wounds, according to the coroner’s office. The incident began unfolding around 9:30 p.m. Friday when a woman flagged down a Metro officer and said a man had abducted and raped her before running inside the Baltimore Avenue apartment, Splinter said. It wasn’t clear if the woman knew Boyd. Two people who left the apartment told detectives a man with a gun was still inside, Splinter said. After he fired a shot out the door toward officers, they backed off and called in crisis negotiators and SWAT officers, according to a Metro press release. Metro spoke with Boyd several times over the phone while he periodically shot toward officers and into the neighborhood, according to the release. 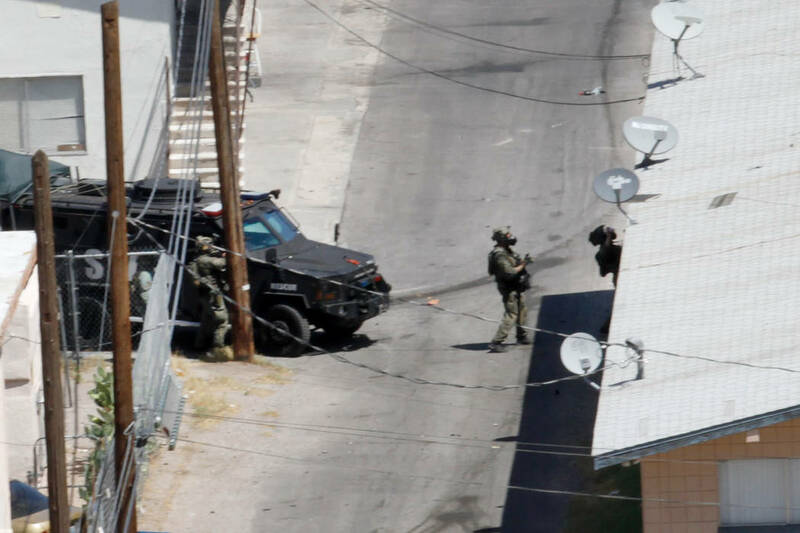 SWAT officers eventually entered the apartment and shot Boyd around 1:15 p.m., it said. The officers who fired their guns will be identified within 48 hours of the event, and Metro will release additional information within 72 hours of the shooting. Later Saturday, a Metro officer was involved in a second officer-involved shooting in a 10-hour span.